Although Dr. Jack Allison retired from clinical medicine in 2007 after a 32-year career in academic emergency medicine, he responded to the victims of the earthquake in Haiti in January 2010, where he treated hundreds of quake victims, and hundreds more who were without medical care. Prior to retirement, he served as Chief of Staff of the Charles George VA Medical Center in Asheville, North Carolina Before that, Dr. Allison was Chief of Staff at the VAMC in Syracuse, New York, a position he had held since 1999. His appointment at Syracuse marked the beginning of his career with the Department of Veterans Affairs. During his tenure in Syracuse, he served concurrently as Associate Dean as well as Professor of Emergency Medicine at the State University of New York (SUNY) Upstate Medical University. Dr. Allison recently retired as Affiliate Faculty / Professor Emeritus of Emergency Medical Care, College of Health & Human Sciences, Western Carolina University, where he taught, performed research, and spearheaded faculty development. Dr. Allison received his Bachelor of Arts degree from the University of North Carolina-Chapel Hill in 1966, and earned a Master of Public Health degree from the UNC School of Public Health in 1971. After completing college but before he matriculated for his Master’s degree, Dr. Allison was a U.S. Peace Corps Volunteer for three years in Malawi, Central Africa. He is fluent in Chichewa, a variant of Swahili. He was graduated from the School of Medicine at the University of North Carolina-Chapel Hill in 1975. The focus of his professional career has been in Emergency Medicine in academic settings. He was Chair / Medical Director of Emergency Medicine programs in Charleston, South Carolina, and the Brody School of Medicine at East Carolina University. He founded the Department of Emergency Medicine at ECU-SOM in 1980. From 1991 through 1995, Dr. Allison was honored as the Sterling Distinguished Professor and Chair, the second endowed chair in Emergency Medicine internationally. He was one of four Founding Presidents of the International Federation for Emergency Medicine (IFEM), was the First Presiding President of IFEM, and has served as the President of the American College of Emergency Physicians (ACEP) nationally. 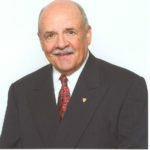 Dr. Allison was the first President of ACEP to have been a full professor with permanent tenure of a fully autonomous academic Department of Emergency Medicine, and the only member of ACEP to serve two consecutive terms as Chairman of the Board of Trustees of the Emergency Medicine Foundation (EMF). He was inducted as a Founding Fellow of IFEM in 2000, is a Fellow of the American College of Emergency Physicians, and is a Fellow of the American College of Preventive Medicine. He was also the Founding President and the First Presiding President of the Association of Academic Chairs of Emergency Medicine (AACEM). Dr. Allison served on the Residency Review Committee for Emergency Medicine (RRC-EM) for seven years, the last four of which as Chair; he also served as Vice Chair of the RRC Chairmen’s Council. He served as an oral examiner for the American Board of Emergency Medicine (ABEM) for 20 years, the last ten years of which as Senior Examiner. Dr. Allison has authored more than 280 articles published in both refereed and non-refereed journals. On September 30, 2010, Dr. Allison received the highest honor proffered by the American College of Emergency Physicians, the John G. Wiegenstein Leadership Award; and on April 13, 2012, he received the Distinguished Medical Alumnus Award from the School of Medicine of the University of North Carolina, the first to be so honored from the Class of 1975. Dr. Allison was awarded Life Membership in the North Carolina Medical Society on February 20, 2014; and in the fall of 2014 he received the Honorary Alumnus Award from East Carolina University. The governor of North Carolina honored Dr. Allison on April 15, 2015, by presenting him with The Order of the Long Leaf Pine, the highest award the governor can bestow on a civilian. In addition to his medical mission to Haiti in January 2010, he went to Kenya & Somalia in February 2012 with Medical Teams International to provide emergency medical care and public health education to Somali refugees; and in October 2012 he went to Malawi & Zambia with Marion Medical Mission to assist with the installation of 112 shallow water wells. Dr. Allison’s avocation is singing/songwriting. He has written over 115 songs and jingles, and has recorded over 100 of those. Since 1967 he has raised >$160,000.00 with his music, and he & his wife, Sue Wilson, have given away all of these monies to various charitable organizations, including >$30,000.00 to help feed Malawian children who have been orphaned because their parents have died of AIDS. Dr. Allison is married and, through the miracle of adoption, is the father of three daughters and one son, and has seven grandchildren and four great grandchildren.